I started well coming through the first feed in 26th place then lost the fight a bit. I found myself just grinding out big gears on steep grass climbs. And it hurt. Other riders were coming past me sounding like their lungs were about to burst and I battled to respond but could not. I felt strong but not fast. Still, best World Cup result of the season and a good one to finish on. 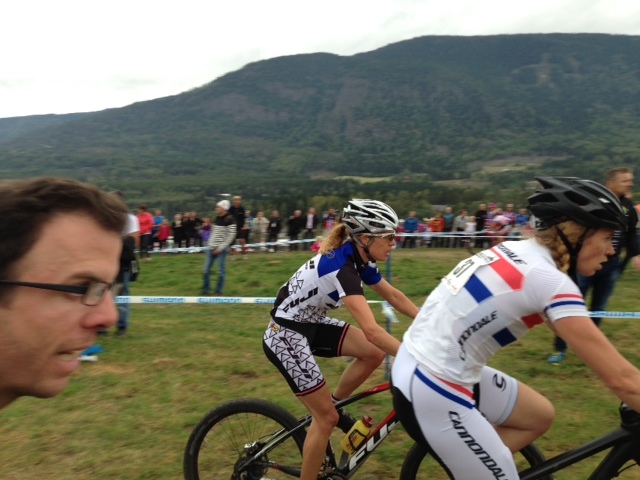 Irina Kalentieva took the win with Eva Lechner and Julie Bresset in 2nd and 3rd place. Paul shouting at me. He’s always shouting at me.